Mayors Against LGBT Discrimination is proud to welcome 19 new mayors to our coalition. These new coalition members understand, as we do, that discrimination in housing, employment, and public accommodations against LGBT people is wrong. With the addition of these new members, out total membership is gaining momentum to take us even closer to 300 total mayors from 48 states and the District of Columbia. Join us in welcoming our new coalition members! 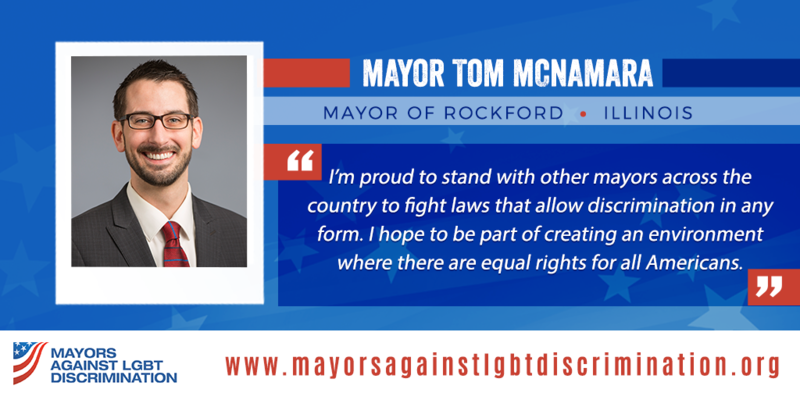 Click here to view all members of the Mayors Against LGBT Discrimination coalition.